The University of Texas announced its plan for a home-and-home non-conference series against Southeastern Conference powerhouse Georgia, 247news.com reports. The University of Texas Vice President and Athletics Director Chris Del Conte announced today that the two game, out of conference series will begin in 2028. 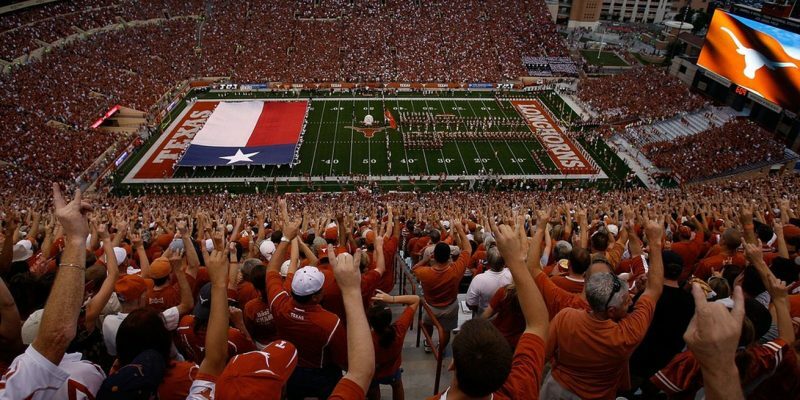 Their last home-and-home series was in 1957 and 1958, both of which Texas won. The Longhorns will be first host the series welcoming Georgia on Sept. 2, 2028 at Darrell K Royal – Texas Memorial Stadium. The Longhorns will then travel to Athens, Georgia, to play the Bulldogs at Sanford Stadium on Sept. 1, 2029. Texas has faced Georgia four times in program history with the Longhorns holding a 3-1 record. The last match-up was on Jan. 2, 1984 at the Cotton Bowl. It was the Longhorns’ sole loss to the Bulldogs when No. 7 Georgia beat No. 2 Texas, 10-9. In addition to the 1984, 1957 and 1958 games, the two teams played at the Orange Bowl in 1949 when Texas beat No. 8 ranked Georgia 41-28. Georgia also announced a home-and-home series with Clemson University. Clemson will host the first game on Sept. 15, 2029 in Death Valley and Georgia will host the second game on Aug. 31, 2030. The Georgia-Clemson rivalry goes back to 1897 with the Bulldogs leading the all-time series, 42-18-4, WSB-TV 2 News reports. The Bulldogs won the last game in 2014 with a score of 45-21 at Sanford Stadium. Georgia and Clemson previously announced their rivalry would return to Atlanta in 2024 Chick-Fil-A Kickoff. A “home and home game” refers to two sports teams playing consecutive games where each team hosts one home game. Games can be back to back days, months or years, but must be consecutive with no other games played in-between.